Central Seattle's Leschi neighborhood is a quiet, relaxing area on the shores of Lake Washington with a small business district. Despite its location just miles from downtown Seattle, Leschi offers a fair number of single family homes for sale, most are average-sized but some are incredible, lakefront estates. Leschi and Frink Parks are connected along the water and give residents a scenic spot to hike, walk, playgrounds, and access to boat docks. 4 Beds | 2.5 Baths | 2700 sq. Ft.
4 Beds | 1.5 Baths | 2920 sq. Ft.
3 Beds | 1 Baths | 1750 sq. Ft.
3 Beds | 3.25 Baths | 3200 sq. Ft.
4 Beds | 3.25 Baths | 3992 sq. Ft.
1 Beds | 1 Baths | 663 sq. Ft.
4 Beds | 4.25 Baths | 4195 sq. Ft.
4 Beds | 4.25 Baths | 3440 sq. Ft.
4 Beds | 3 Baths | 3020 sq. Ft.
4 Beds | 3.5 Baths | 4450 sq. Ft.
3 Beds | 2 Baths | 1828 sq. Ft.
Blue Summit Realty has the most accurate and up to date Leschi real estate listings on the web. Currently there are 14 homes for sale, 3 condos for sale, and 3 vacant land properties in Leschi. Of the 20 total Leschi residential listings for sale 0 are bank owned, 0 are short sales, 0 are new construction, and 0 are townhomes. The price ranges from $370,000 to $0 with a median list price of $1,521,375 and median sold price of $903,585. Make sure to refine your Leschi real estate search by property type, price, square footage, bedrooms, bathrooms and more with the search tool above or view the Leschi listings on our interactive map. 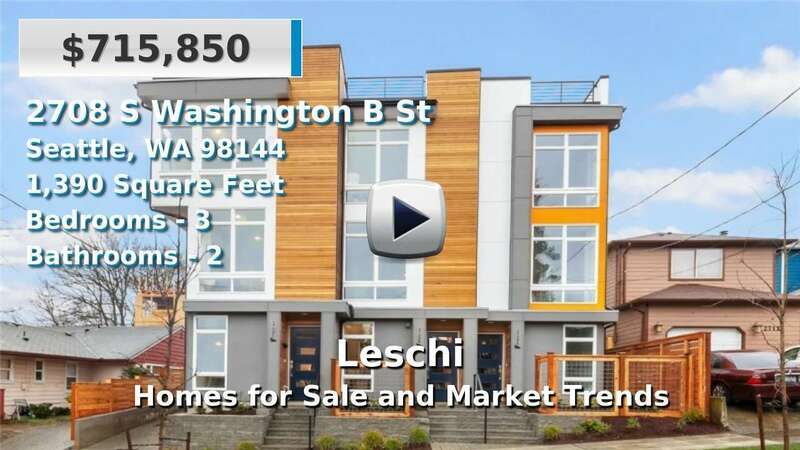 Our Leschi real estate listings were updated 26 minutes ago.